Frankly, I am not a very theme park person – my personal experiences with theme parks had been long queues and childish rides and lots of people! However my perception of theme parks had completely changed after just 2 days at Hong Kong Disneyland – the variety of interesting activities to do kept me engaged and excited on what’s coming up next; I felt like a child during this short period, always looking forward to the next ride and performances! 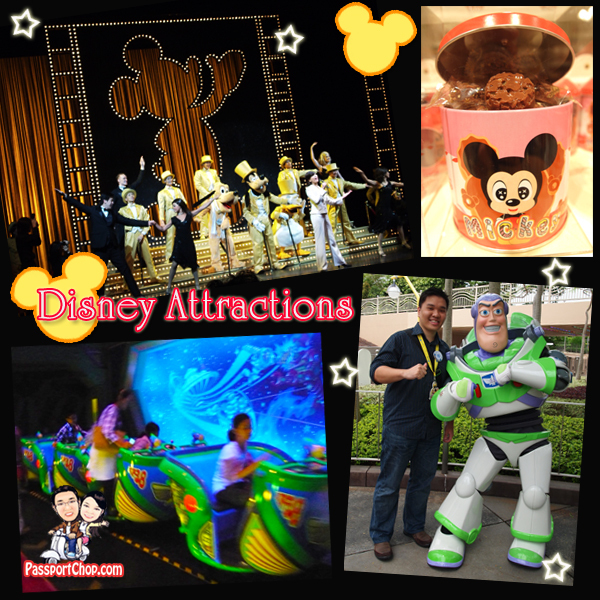 🙂 Based on my experiences, I will share 5 things you should do in Hong Kong Disneyland for an enriching and fun time. And if you want to skip lines at Hong Kong Disneyland and get discounted ticket prices up to 50% off – check out Klook! They offer exclusive insider deals from skip-the-line passes and ticket collection is hassle-free. You will receive your e-ticket(s) instantly after you book with Klook. All you have to do is to show the e-ticket(s) at the entrance and you will be admitted right away. 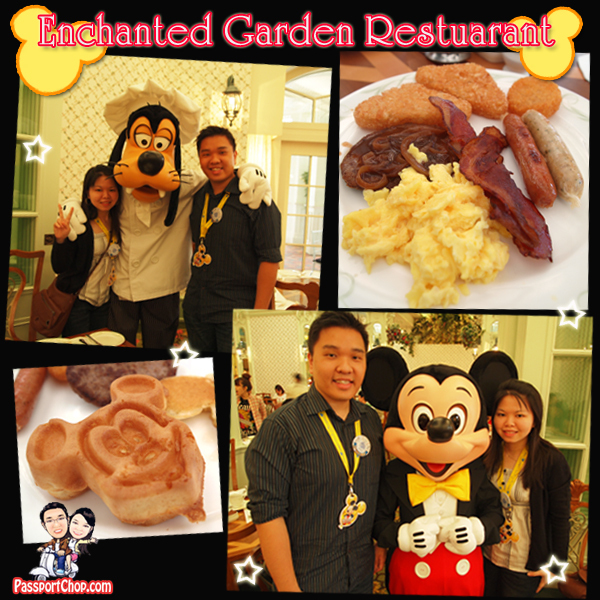 Hong Kong Disneyland Hotel’s Enchanted Garden Restaurant is perhaps the only place in the Resort where you can have breakfast and at the same time, Disney characters will drop by to take a picture with you! No queues! – simply grab your breakfast from the sumptuous buffet spread of items with European and Asian influences (omelettes, Japanese tempura and even Indian curry), enjoy your meals and various Disney characters (4-5 of them) will come around to your table where you can take pictures and get signatures from them. We had Goofy, Daisy, Pluto and the leader of them all – Mickey Mouse dropping by during our breakfast. Some of them are very playful – Pluto even tried to spook me from behind! After breakfast, it’s time for a full-day of fun and laughter at the Disneyland Park – one of the must-try ride is the Buzz Lightyear Astro Blasters in Tomorrowland where your mission was to help Buzz Lightyear save the universe from the evil Emperor Zurg. The ride is totally interactive – you get full control over your pod; you can turn it in any direction and even 360 degrees to aim at the nearest bad guys with your laser gun – your scores are recorded live during the ride and you can benchmark yourself against other riders at the end of your mission. Located in Disneyland Hotel, the Crystal Lotus Restaurant serves an interesting menu (but not so good news for some Disney characters as you will soon find out). 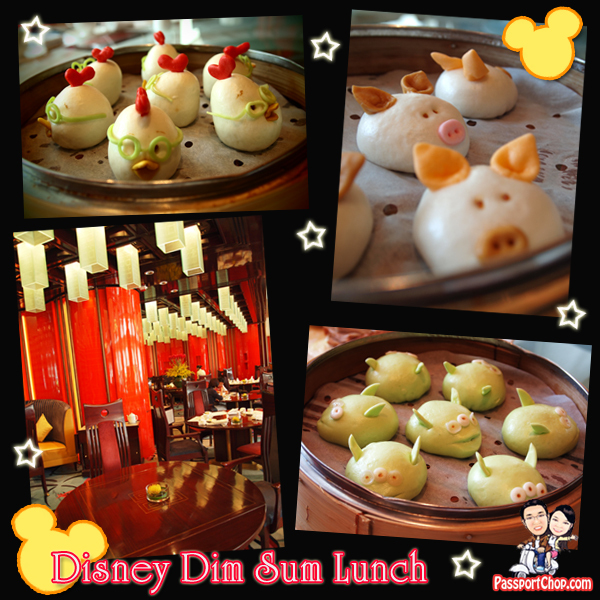 The Dim Sum Platter comprises of Three Little Pigs Barbecue Pork Bun and Little Green Men Pork and Vegetable Bun. Dessert is ‘Chicken Little” Steamed Lotus Seed Puree Bun. The food looked too cute to eat, especially the Chicken Little and the Little Green Men (which were our comrades in our battle against the evil Emperor Zurg during the Buzz Lightyear Astro Blasters ride). Before savoring them, we couldn’t resist dissecting them bit by bit – first the spectacle of Chicken Little (which is essentially flour) and then its beak and crown (again, flour). 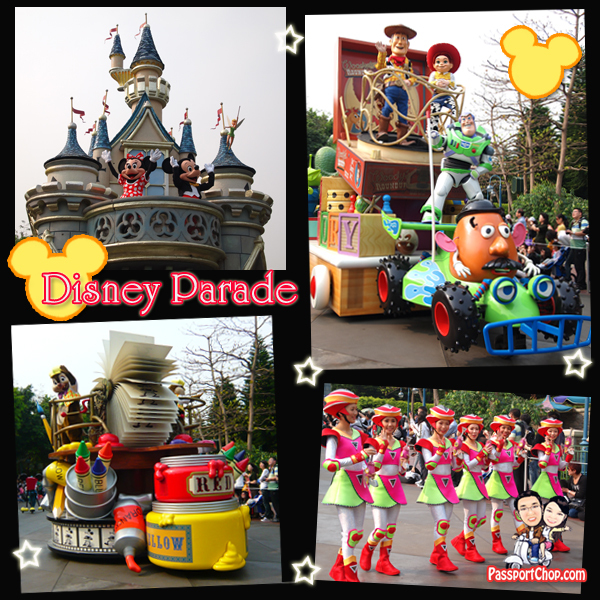 The best period to check out all the Disney characters in one place will be during the 3.30pm Disney on Parade – chope your place along the parade route as early as 15 minutes before the parade so you will be at the front row to see the Disney characters up close. Besides Disney characters, there will also be supporting cast dancing away to the catchy Disney tunes and songs – do look out for their interesting costumes and dance routines. After a long day at the park, it’s time for dinner and spectacular Disney fireworks. Why not combine both of these experiences with the Star Fireworks Dinner Package. You will be treated like a VIP as you are ushered to a specially cordoned-off area only for Star Fireworks Diners (you are issued a green wrist tag to identify your status as a Star Fireworks Diner), to admire the beautiful fireworks display – there is no need to squeeze with the thousands of spectators in the park for a place and you will also get a full frontal view of the fireworks display. After the display, you will then be invited back to the restaurant for Cantonese fine-dining involving abalone, scallops and Dim Sum. For dessert, you are treated to another Mickey-shaped jelly with different flavorings. What a perfect way to end the day at Hong Kong Disneyland on a high note. you guys seems to enjoy disneyland so much.! Thanks! Yup, we took lots of photos during this trip. Looks great. Must do it at least once in ypur lifetime! as we only stay one night there, might not have enough time for all rides, will try to follow your top 5 to do over there. Hi, thanks for your reply, where to collect the Star Guest Pass ? from breakfast buffet ? thanks..
pls check with HK Disneyland front desk about this. Not sure how they will be issuing the Star Guest pass this year. 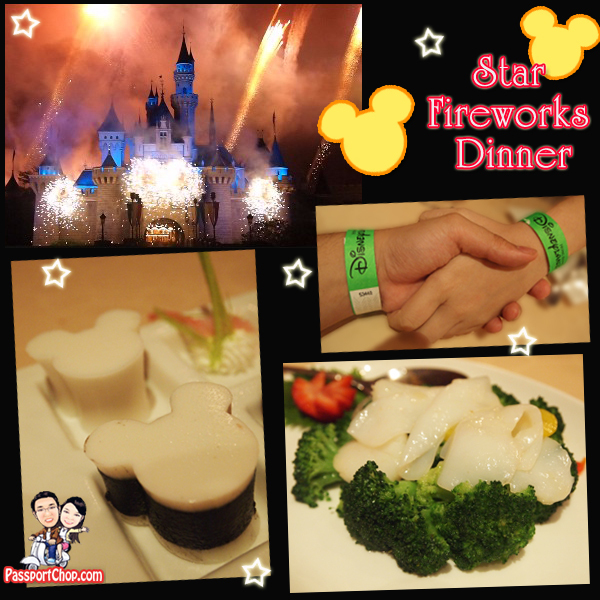 how do you book for the Star Fireworks Dinner Package? where will the dinner be at? Hi my buddy! I will claim that this article is amazing, great written and are avalable with approximately all vital infos. I have to peer more posts such as this.